This Belarusian towel has embroidery. 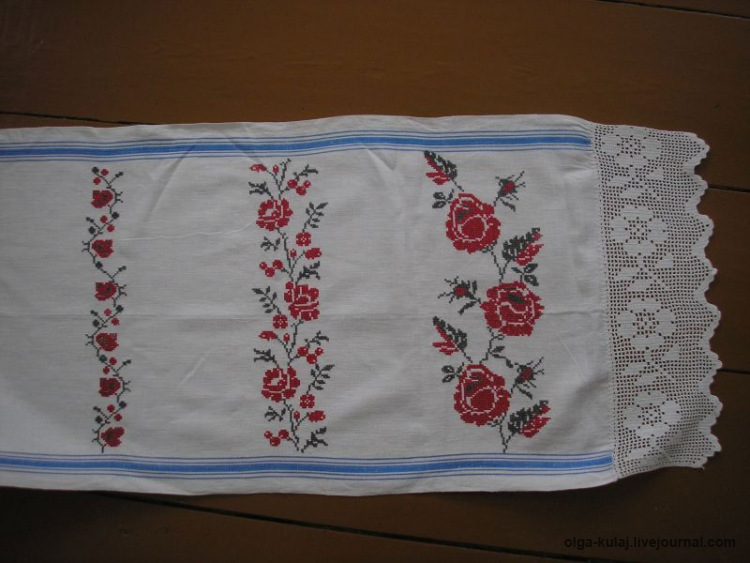 This Belarusian towel has embroidery and filet crochet using the same design I am knitting on Lithuanian colorwork mittens. Not surprising since Belarus and Lithuania and neighbors and cousins in history. Fun! I can’t wait to get another chance to visit this part of the world. Yep, I just got home and already dreaming. But enjoying our semi-warm winter here in Colorado, with a view of snow up on the Rocky Mountains.